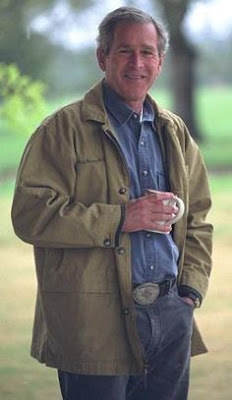 Doesn’t matter if we’re busy or not; Republican or Democrat we all have time for a cup of coffee—even our Presidents. 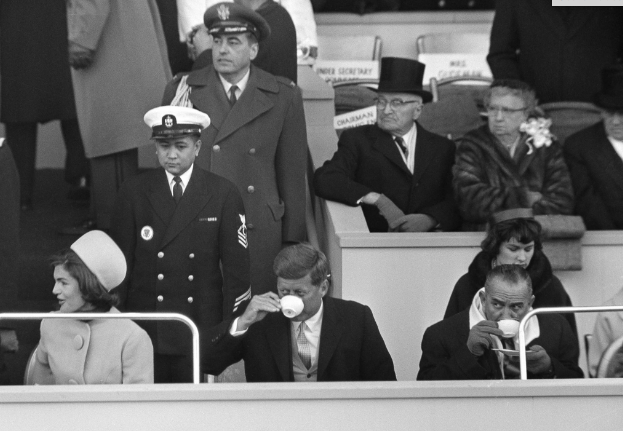 On January 20, 1961, President John F. Kennedy and Vice President hurry to sip coffee before the next float goes by at JFKs inaugural parade. 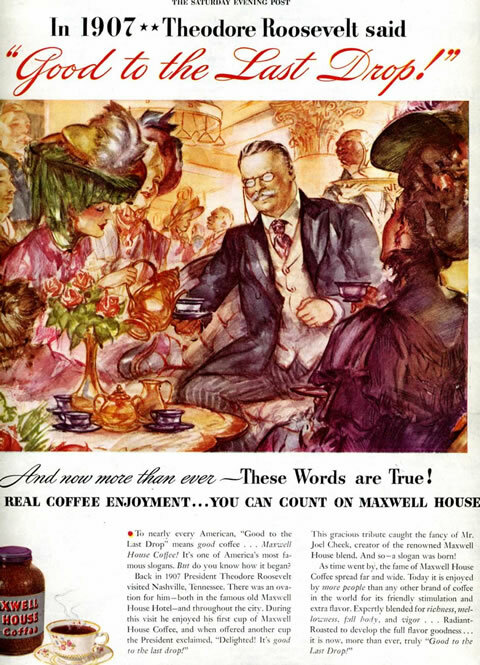 Former President Harry Truman and First Lady Bess seem to be looking for a White House steward to bring them some coffee. 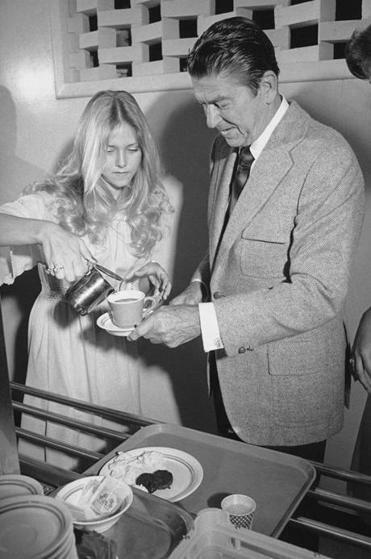 While campaigning in Texas before the 1976 election, Ronald Reagan goes through the breakfast line for his cup of coffee before speaking to students at Southern Methodist University in Dallas. 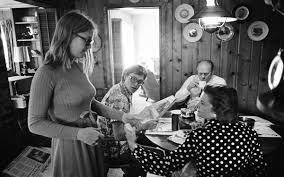 Co-ed Dawn Terry from Richland Junior College does the honors. 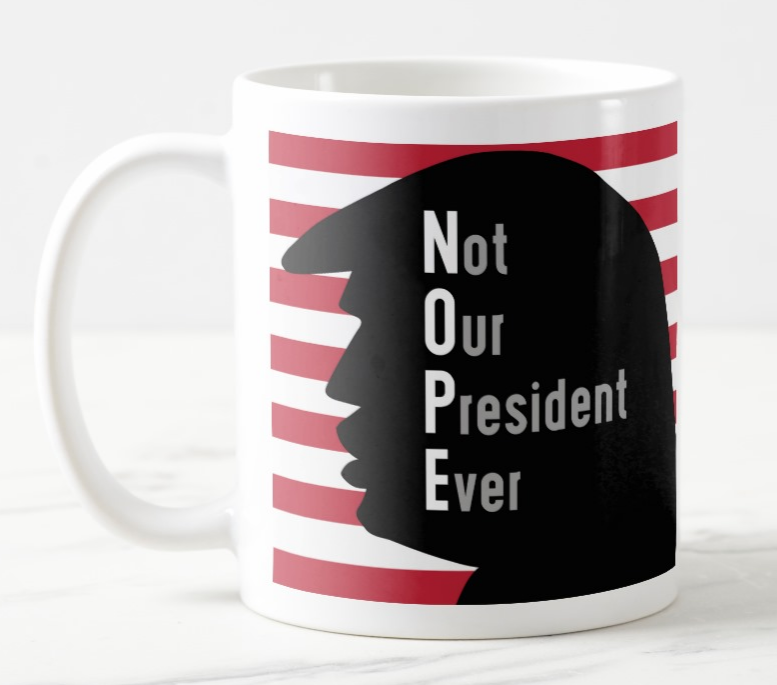 Who's buying? 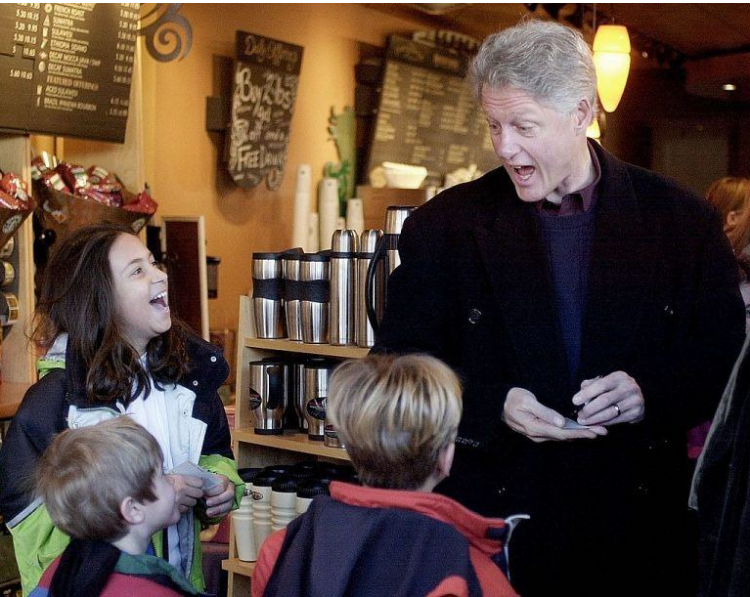 President Bill Clinton chats up future voters while in line at Starbucks. 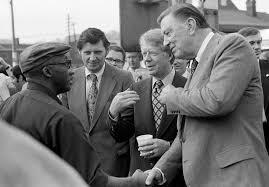 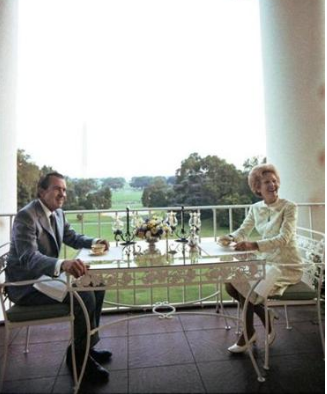 President Gerald Ford and Family enjoy coffee and breakfast at Camp David. 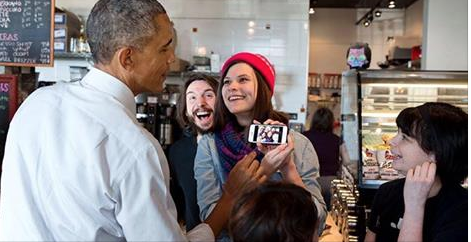 Starbucks customer asks President Barrack Obama to pose for a selfie in return for him cutting in line. 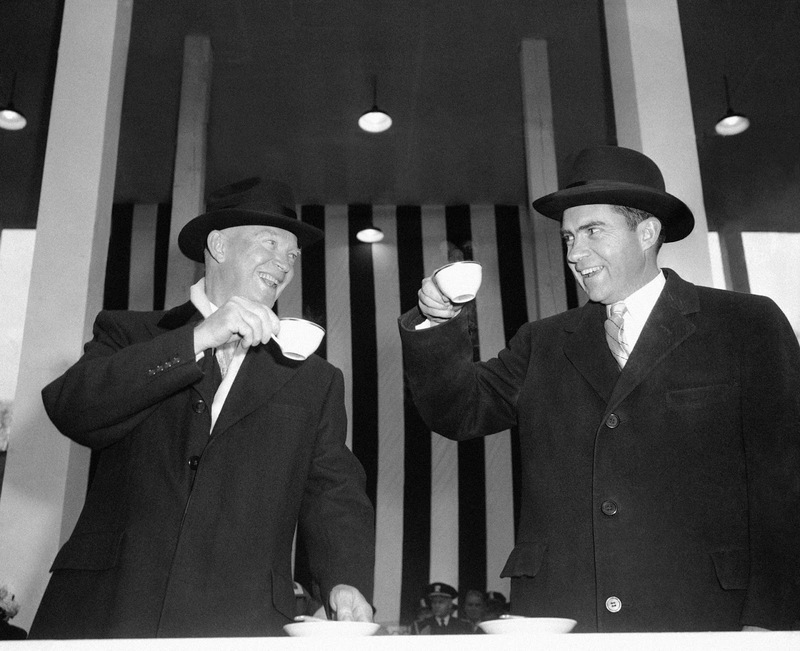 President Dwight Eisenhower and Vice President Richard Nixon toast each other with cups of coffee during the Inaugural parade in 1953. 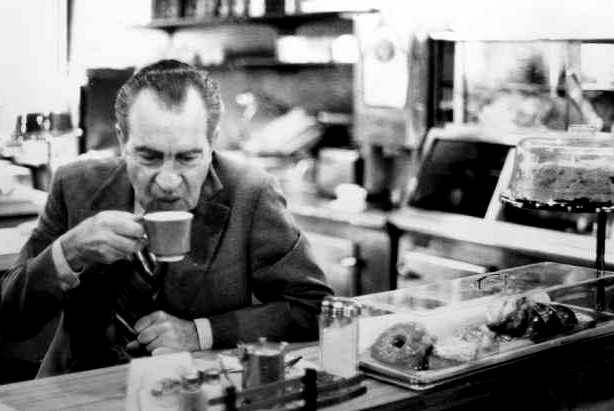 President Richard Nixon enjoying a hot cup of post White House coffee with his friends at a California diner near his home. 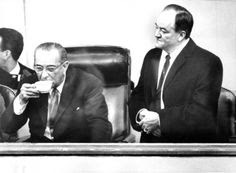 Who knows what Vice President Hubert Humphrey is thinking as he watches President Lyndon Johnson sip his cup of coffee. 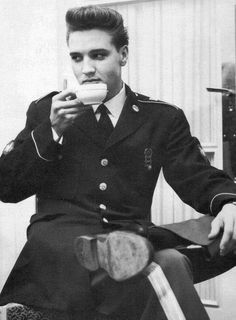 Bets, anyone? 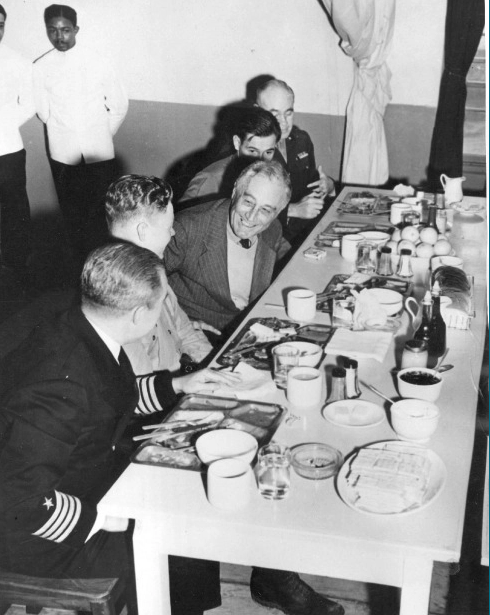 mess hall in the Aleutian Islands, 1944.